Ankle sprains can occur simply by rolling your ankle on some unstable ground. Most commonly rolling your foot inwards strains or tears the ligaments on the outside of your ankle (lateral ankle sprain). This can occur when awkwardly planting your foot when running, landing unbalanced from a jump or stepping onto an irregular surface. Essentially, ligaments are overstretched. Ankle sprains vary in their severity, from mild ‘twisted ankle’ or ‘rolled ankle’ sprain through to severe complete ligament ruptures, avulsion fractures or broken bones. Despite most people being told to simply ‘rest’ and it will recover, even mild sprains often result in joint stiffness, ligament laxity, muscle weakness or tightness plus reduced proprioception (balance and joint awareness). Hence the need for proper treatment and rehabilitation regardless of the severity of the injury. Ankle ligaments attach from bone to bone and passively limit the movement available at each joint. Those ligaments ensure a strong stable joint that acts as a shock absorber and support for your entire body when moving, but also allows sufficient movement for functions like running and jumping. There are three ligaments on the outside of your ankle alone, any one of which could be damaged when you roll your ankle. At the time of the injury, you may hear a popping or cracking sound and you will notice swelling, bruising and ankle pain. It is usually acutely tender over the injured ligament. Depending on the severity of your ankle sprain, you may have trouble walking or standing on your foot. 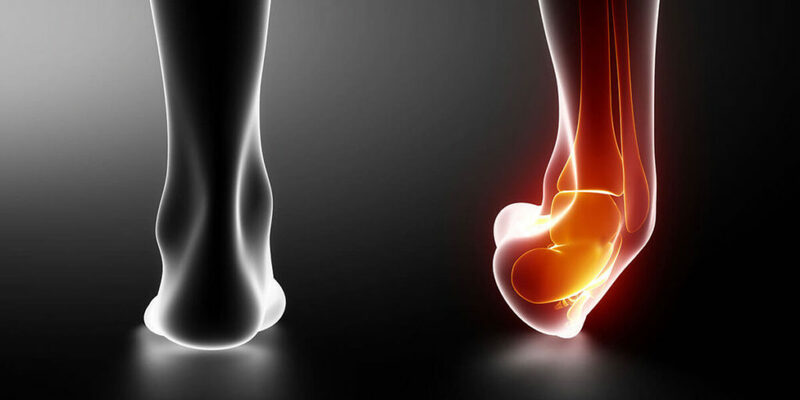 In more severe cases, there may be sharp pain deep in the joint associated with a fracture or pain between your lower shin bones, which may be a high ankle sprain or syndesmosis sprain. 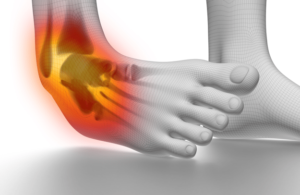 Your Lowton Rehab therapist is an expert in the assessment and diagnosis of ankle sprains. A thorough clinical examination will determine the severity of your injury. You may be referred for an X-ray, CT scan or MRI scan if a fracture is suspected. If you sprain your ankle you should immediately apply the ‘PRICE’ protocol, which stands for Protect, Rest, Ice, Compression and Elevation, for the first 24–72 hours. Protection may include the use of crutches if painful to walk. Rest is all relative – just don’t try anything that is painful. Ice the injury regularly for 10–20 minutes several times a day. Compression by strapping, bandage or kinesiology taping will all help to reduce the swelling and bleeding as well as the pain by giving the joint support. 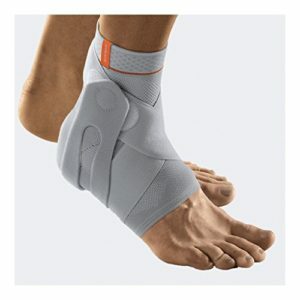 The purpose of elevation is to reduce swelling and aid circulation. You should then see your physical therapist to start treatment and rehabilitation. Unfortunately, a sprained ankle can increase your risk of re-injury as much as 40– 70%, but the correct post-injury rehabilitation exercises significantly decreases the risk. Often an ankle heals with residual stiffness or laxity (unstable joint) both of which can predispose you to injury. There are essential treatment aims that need to be covered to effectively rehabilitate your sprained ankle and prevent recurrence. If you have a history of a sprained ankle and don’t want to re-injure it, you can be proactive and see a physical therapy specialist to have your ankle assessed and prescribe exercises to strengthen the joint and prevent an injury in the future. Physiotherapy and rehabilitation involves hands on treatment from the beginning of the injury. The sooner you start treatment the better the outcome. There is no specific time frame for the recovery of sprained ankles, although its known that ligaments take at least 6 weeks to heal; however, your muscle strength, the range of motion, proprioception and return to function can vary considerably. So recovery can take anywhere from 3 to 6 weeks for a mild or moderate sprain but up to 3 months or more for a severe injury. Your progression through rehabilitation exercises will be carefully monitored as attempting to progress too soon can lead to re-injury and the frustration of a delay in your recovery!